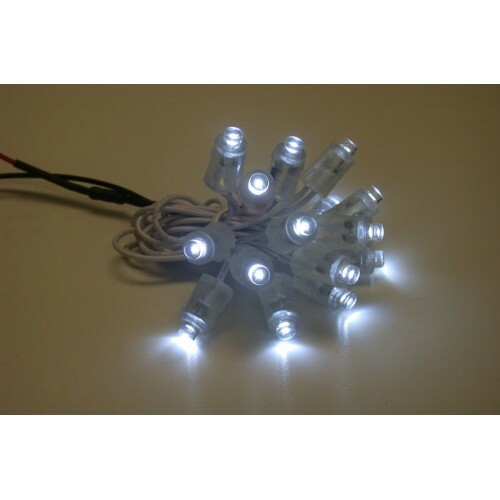 LED-Chain has been designed to create LED characters or graphics with ease. Each LED-Chain consists of 15 LED's, each encased in clear pvc, enabling them to fit snugly into panels up to 6mm thick with 9mm holes. The rubber like material creates a water tight seal making them suitable for internal and external use. This product requires a 48V LED power supply. Waterproof to IP55. Please see 'Install Info' for fixing instructions.